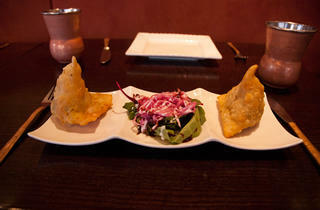 Sample the international delights in this diverse Queens enclave. Disparate cultures coexist throughout the five boroughs, but Jackson Heights is especially diverse—the neighborhood is home to a thriving gay community, in addition to its various ethnic enclaves (including large South American and South Asian populations). Exiting the subway at the Jackson Hts--Roosevelt Ave station (where the E, F, M and R lines all stop) deposits you near Delhi Heights (37-66 74th St at 37th Rd; 718-507-1111, delhi-heights.com), in an Indian section of the area. 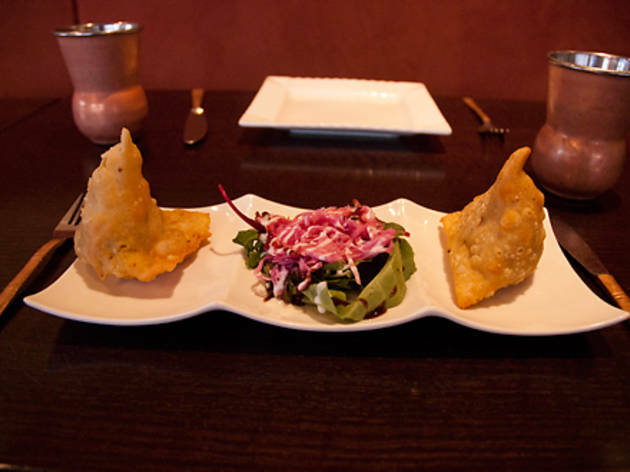 The regular menu offers more than 100 choices, including the usual suspects (palak paneer, chicken tikka masala, aloo gobi); but take a closer look and you'll spot a bevy of quirky Chinese-Indian fusion options. We like the Hakka-style chicken ($14.95) and lamb in hot garlic sauce ($15.95).) The best overall value, though, is the $9.95 lunch buffet (daily 11:30am--4pm), which gives you access to around ten different hot dishes (both meat and vegetarian options), plus fluffy naan to sop up the curries. 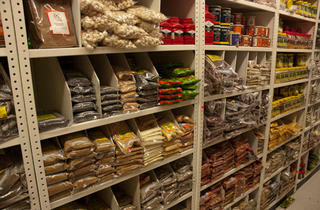 Continue your desi exploration at Gulzar Beauty Salon (7401 Roosevelt Ave at 74th St, 718-779-2800). The minimalist space is a neighborhood favorite for eyebrow threading ($5) and traditional Indian mehndi (from $7). Choose your design and take a moment to wiggle your hands to release any restlessness; you'll have to hold your digits completely still while the technician draws the intricate pattern with henna. 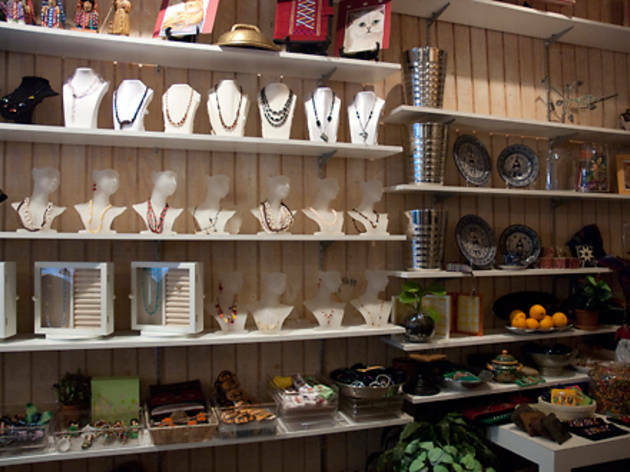 Once the application is finished and has dried, stretch your legs with a walk up 74th Street, where countless shops burst with brightly colored saris. 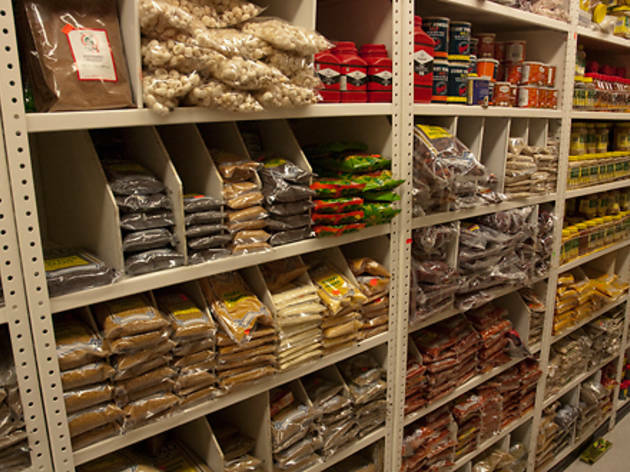 When you're done browsing, hit up Patel Brothers specialty market (3727 74th St between 37th Ave and 37th Rd; 718-898-3445, patelbrothersusa.com) to saturate your senses with canisters of bright Madras curry powder ($3.79), tandoori naan ($2.49) and crunchy chiplike snacks from Haldiram's ($2.99--$3.99). If you enjoy dabbling in the kitchen, you can also pick up pantry staples like ghee ($3.99--$22.99) and whole-wheat chapati flour ($11.99). 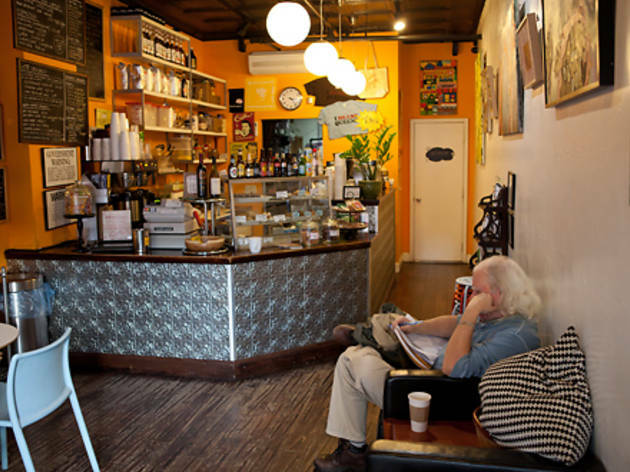 "People actually greet each other and chat on the street here," says Afzal Hossain, an artist and architect who also operates the local espresso and wine bar Espresso 77 (35-57 77th St at 37th Ave; 718-424-1077, espresso77.com). Stop by to say hello and perk up with a latte ($3.60). 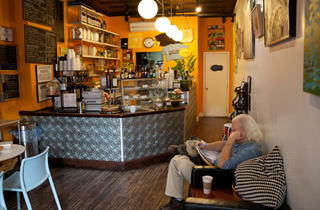 The shop not only has the area's best java (the staff brews brew beans from Gimme! Coffee), but it also serves as a gathering place with live-music nights and rotating art exhibitions from local painters and photographers. Another local entrepreneur is Rudy Volcano, whose namesake clothing shop (79-07 37th Ave at 79th St; 718-651-7100, rudyvolcano.com) stocks a range of handmade products from South America. 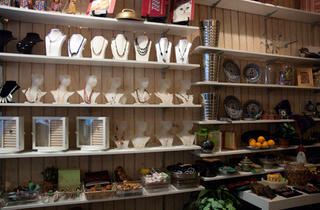 Colorful imports range from quail-feather earrings ($21) to wool hats from Peru ($19). "This is not a store for a black top or a white skirt," said Volcano, whose vivid boutique opened in 2001. "We offer limited quantities because [nothing] is mass-produced." Adding to the festive ambiance is Volcano's frequent programming: Free concerts, fashion shows and artist appearances happen monthly at the shop. Head down the street to La Nueva Bakery (86-10 37th Ave between 86th and 87th Sts, 718-507-2339), where you can get flaky Argentine-style empanadas filled with tuna, beef or spinach (80--$1.50). 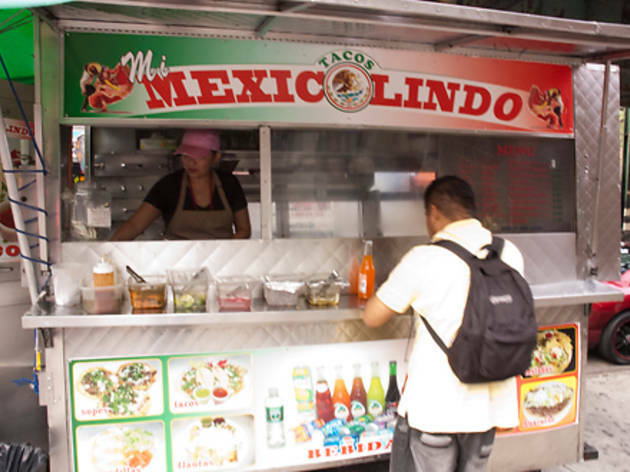 Nearby, you'll find Mi Mexico Lindo (Roosevelt Ave at Gleane St), one of the taco trucks that regularly park on Roosevelt Avenue. 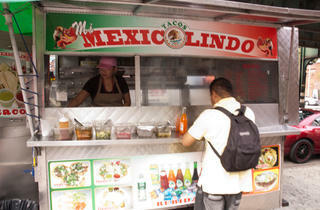 Each order ($1--$4) comes with two lightly griddled flour tortillas laden with meat—the al pastor and bistec varieties are particularly tasty—plus avocado sauce, chopped white onion and cilantro. Pile on the complimentary pickled peppers and carrots with abandon, but be wary of the searing red salsa. Work off your refreshments with a stroll down Roosevelt Avenue. The eclectic stores that line the thoroughfare sell everything from Mexican wrestling masks and Latin pop CDs to vinyl thigh-high boots la Julia Roberts in Pretty Woman. 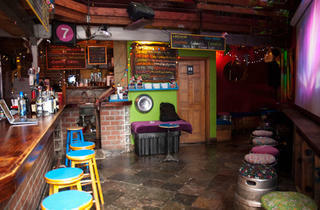 End your trip at the weekly jazz night (Sun 9pm--midnight; free) hosted by Terraza 7 (40-19 Gleane St between Baxter and Britton Aves; 718-803-9602, terrazacafe.com). 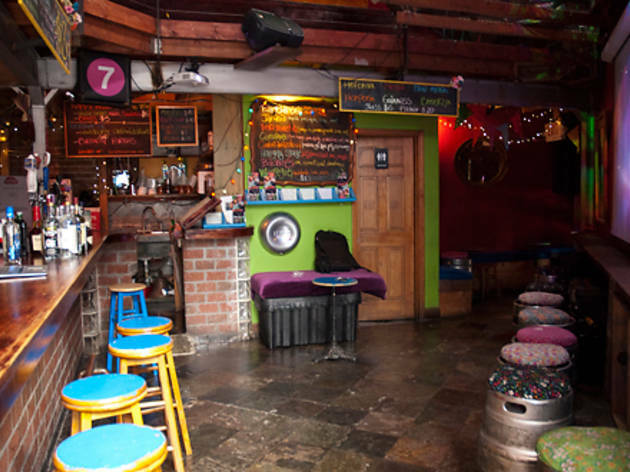 Owned by active community member Freddy Castiblanco, the venue also boasts film screenings, discussion groups, workshops and art shows, in addition to regular live music performances. "One of my favorite places is Cannelle Patisserie (75-59 31st Ave between 76th and 77th Sts; 718-565-6200, cannellepatisserie.com). Located in a mall and tucked incongruously between a Greek place and a Waldbaum's, it [has] the best French pastry outside of Paris—better than anything I've ever had in Manhattan." 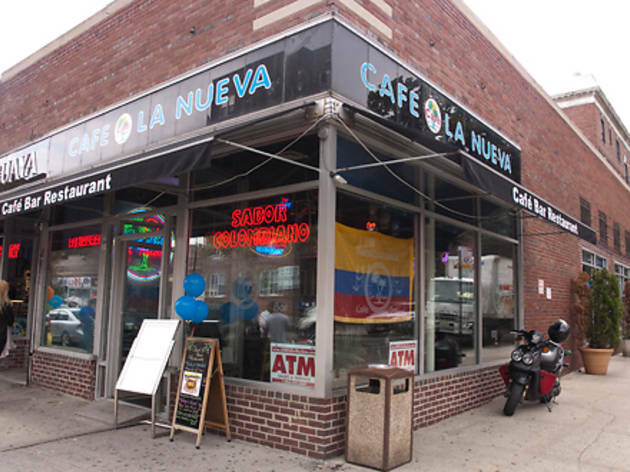 "My favorites change every week, but some of the places that are on my mind most often are Taqueria Jazz (82-02 82nd St at Roosevelt Ave, 718-426-4242), which has lots of interesting taco choices—all juicy—and Tawa Foods (37-38 72nd St at Broadway, 718-457-7766), which has just expanded to include a Nepalese grill." "A wine store that recently opened, Table Wine (79-14 37th Ave between 79th and 80th Sts; 718-478-9463), has tastings every week—always with an interesting selection of wines or spirits."